Hi all, some discussions on the Philippine National Railway tank cars have been occuring on the PRHS 'Philippine Modelling Yahoogroup'. As a result I have been going through some of my more recent shots of the prototype and prowling the internet for possible items in which to base a reasonable model. No idea who makes this tanker. 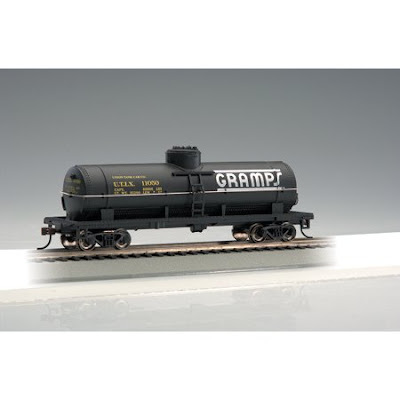 This tanker by Model Power looks like it may have much potential. The difference that stands out most between them is the dome height, which always seems somewhat taller than the PNR version. This could always be fixed by chopping a bit out of the dome should you be truly fussed. 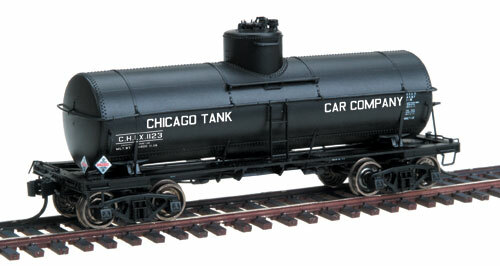 For more ideas, a Google search for HO Tank cars gives a lot of different types. If you are interested in modelling anything Philippines, whether it be trains, buses, planes, buildings, ferries or just scenery, we would welcome your ideas on the Philippine Modelling Yahoogroup. Discussion without the bitterness that has invaded our main PhilippineRailways Forum.